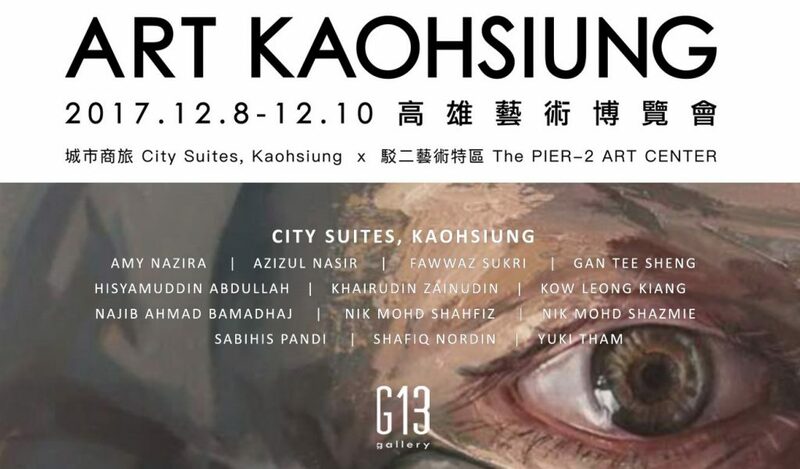 At Art Kaohsiung in Taiwan, G13 Gallery will showcase 20 works of Malaysian contemporary artists inclusive of both established names and up-and-coming talents. The participating artists are Amy Nazira, Azizul Nasir, Fawwaz Sukri, Gan Tee Sheng, Hisyamuddin Abdullah, Khairudin Zainudin, Kow Leong Kiang, Najib Ahmad Bamadhaj, Nik Mohd Shahfiz, Nik Mohd Shazmie, Sabihis Pandi, Shafiq Nordin and Yuki Tham. The gallery's preview is by invitation only from noon until 6pm on Dec 7. The remaining exhibition dates are open to the public. Art Kaohsiung 2017 is the fifth edition. Since 2013, the event organisers have been cultivating the art market of southern Taiwan and the exhibition industry. The strategy is to integrate the resources of the various industries including cultural bureaus and academics. Last year’s edition encompassed galleries from China, Japan, the Philippines, Hong Kong, Malaysia, Singapore, Vietnam and the United States, attracting 12,000 visitors and US$ 4 million sales. Positioned as "the platform of Southeast and Northeast Asian art," and corresponding with The Go-South Policy of the Taiwanese government, Art Kaohsiung is said to focus on art and cultural exchanges. This year’s edition, Vietnam and China are the focus countries within which a dialogue between the cultures and art forms will be held.